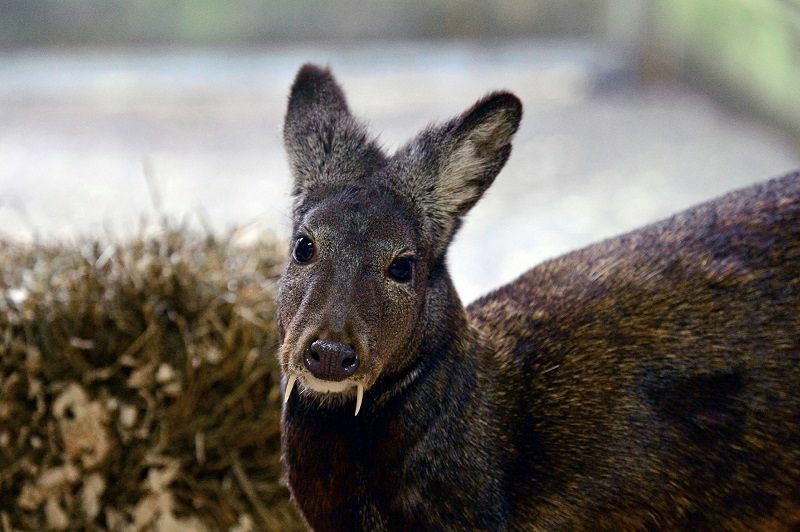 A recent study found a small group of fanged Kashmir musk deer in Afghanistan. The photo shows a Siberian musk deer - a related species also found in Asia. These musk deer are classified as an endangered species on the International Union for Conservation of Nature's Red List. Musk-deer meat is a local delicacy, but the species is mostly hunted for its scent glands that are more valuable by weight than gold — some believe the glands have pharmaceutical properties, and they sell for nearly $20,455 per pound ($45,000 per kilogram) on the black market, according to the International Union for Conservation of Nature. All of the musk deer were spotted on sheltered rocky outcrops around 9,843 feet (3,000 meters) high. In the summer, they regularly trek along steep slopes that make them almost impossible to approach and keep them relatively safe from hunters. However, heavy snowfall in the winter drives the species farther down, to more human-accessible slopes, and hunters come from all over the country to stalk the deer for their valuable scent glands.